PicturesToExe Deluxe is the program, which can help you to create splendid slideshows, consisting of almost limitless number of images in executable file for PC and Mac. The interface of PicturesToExe Deluxe is very easy in use, both amateur PC and Mac users and professional photographers and people of all specialities can work in this program without any difficulties. 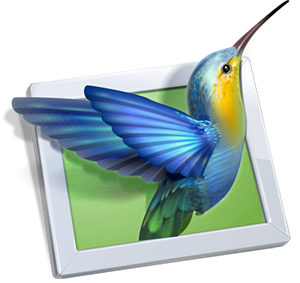 PicturesToExe Deluxe supports different formats such as PNG, GIF, BMP and JPEG, which is the main for this program. A slideshow in executable format can be reproduced on any computer. No additional program, not even PicturesToExe itself, is needed to run a finished slideshow, except a produced executable file. You can place any objects (images, text labels with drop shadows) on a slide and customize complex animation. Itâs either possible to use various cinematographic transition effects including 3D effects between slides, to add background music, sound and text comments to a slide and even to customize dialog windows. You can also synchronize slideshows to music. The slideshow has a very high picture quality and the smoothest playback of Pan/Zoom/Rotate effects you have ever seen. VideoBuilder in PicturesToExe Deluxe edition allows you to burn a DVD-video disc with your slideshows quickly and easily. You can adjust the menu and many other parameters of your DVD disc. You cannot but notice one more advantage, PicturesToExe gives you an opportunity to create an AVI-video file, HD Video for PC and Mac and Video for iPhone. You may also publish your slideshows on Youtube and Vimeo. If you think, itâs necessary you can protect your slideshow with a password and assign an expiration date. Burned in PicturesToExe DVD-video disc can be played on any DVD player, PC or MAC. â¢ PicturesToExe produces single EXE file which contains all pictures and music. â¢ PicturesToExe Deluxe can burn DVD-Video disc with slide shows. â¢ Pan/Zoom/Rotate effects for images. â¢ Powerful editor of objects of a slide with possibility to adjust complex animation. â¢ You can add buttons or text labels with drop shadow and glow to a slide. â¢ Cinematographic transition effects between slides. â¢ Show of slides can be exactly synchronized to music on the timeline with waveform. â¢ Slide show has built-in player for high quality MP3 and OGG playback. Also it supports WMA, WAV and MIDI music playback. â¢ Ability to create screen saver. â¢ Navigation bar in slide show. â¢ Easy solution for creating of greeting cards. â¢ Ability to create AVI video file. â¢ Support of multi-select and visual drag-n-drop between file panel and Slide list. â¢ Support of sound comments to slides (MP3, OGG, WMA or WAV). â¢ Images can be in JPEG, PNG, GIF or BMP format. â¢ Ability to rotate pictures (lossless algorithm). â¢ Every slide can be individually customized with own time, effect, background, and etc. â¢ And a number of another features. â¢ Support for English, Russian, Netherlands, Italian, Swedish, Hungarian, Slovenian, German, Catalan, French, Spanish, Arabic, Romanian, Chinese, Brazilian Portuguese, Danish, Czech, Ukrainian, Slovak languages.